The defense of OWI cases is a highly specialized area of criminal defense. 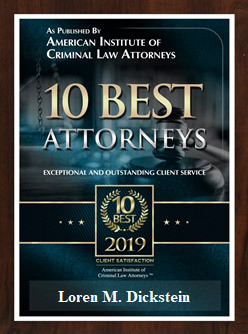 Although a multitude of lawyers represent clients on drinking and driving offenses, very few are widely considered to be experts in the field. The defense team with LEWIS & DICKSTEIN, P.L.L.C. has been representing clients in felony and misdemeanor alcohol and drug related driving offense for decades. We have advanced training, we’ve won jury trials and have gotten these charges reduced to non-alcohol related offenses in several cases. Part of the way we provide superior representation is by staying abreast of the last changes in the laws impacting OWI and DUI cases. 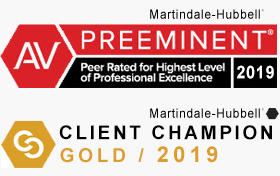 A 2015 change in the law involves preliminary roadside analysis of driver’s suspected of being impaired or under the influence of alcohol or drugs. 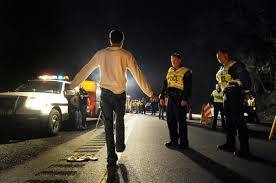 A preliminary roadside analysis is the on-site taking of a breath sample of a person or performance and observation of field sobriety tests to determine if a person is intoxicated by drugs and/or alcohol. These tests are authorized if a police officer has reasonable cause to believe a person is operating a vehicle while their ability may have been affected by drinking alcohol and/or taking a controlled substance. Tests are also authorized if a police officer has reasonable cause to believe that a person is operating with any measurable amount of alcohol and/or controlled substance in their system. A person under the age of 21 who is operating a vehicle can be tested if a police officer has a reasonable cause to believe they are operating with any alcohol content in their system. The results of these tests are admissible in any criminal prosecution for DUI or administrative hearing. What if you refuse the test? If you refuse to submit to the preliminary roadside analysis upon a lawful request by a police officer you can be issued a ticket for a civil infraction. If you are the operator of a commercial vehicle and refuse the testing, this is a misdemeanor offense punishable by not more than 93 days or a fine of not more than $100, or both and you will be given a 24-hour out of service notice. The new law only requires a person to submit to one preliminary roadside analysis. Officers may continue to request additional testing, but a person cannot be arrested or cited for failing to submit to more than one. In the event of a refusal of a chemical test: confiscate the person’s license and issue a temporary license to the person, forward a copy of the written report of the refusal to the Secretary of State, then destroy the person’s license. In the event a person takes the test and there is a presence of alcohol and/or a controlled substance: confiscate the person’s license and issue a temporary one, notify the Secretary of State (through the Law Enforcement Information Network) that a temporary license was issued, then destroy the person’s license. In the event that a person submits to the test, but results are not immediately available: confiscate the license and issue a temporary one, notice the Secretary of State (through LEIN) of the issuance of a temporary license. When results are received if there is a presence of an unlawful alcohol content and/or controlled substance the license is destroyed. If there is no unlawful alcohol content and/or controlled substances found the license is to be returned to the person by first class mail. A judge or district court magistrate can order the release of a person on bond subject to conditions necessary to protect the public if the person submitted to a preliminary roadside analysis and alcohol and/or controlled substances are found. The defendant must be informed at the bond hearing that they shall not operating a motor vehicle under the influence of alcohol and/or a controlled substance and if they do the person is subject to arrest without a warrant and bond will be forfeited or revoked. The Court must order the issuing court or police department in its jurisdiction to put the conditional release order into LEIN. The drinking and driving laws in Michigan are some of the strictest in the nation. Also, the local judges are some of the toughest on DUI offenses in the state. The deck is often stacked against a person charged with OWI. That is why it is important that you have the finest legal representation available. The attorneys at Lewis & Dickstein, P.L.L.C. 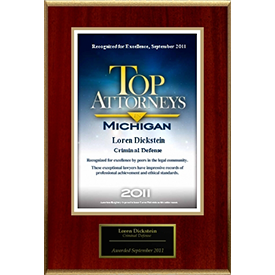 are recognized experts in the field of defending people charged with drunk driving offenses. Our attorneys appear in courtrooms all over the State of Michigan and have decades of experience handling criminal matters. Please call us at (248) 263-6800. We can help.